You can make an online 2021 Festival donation here. 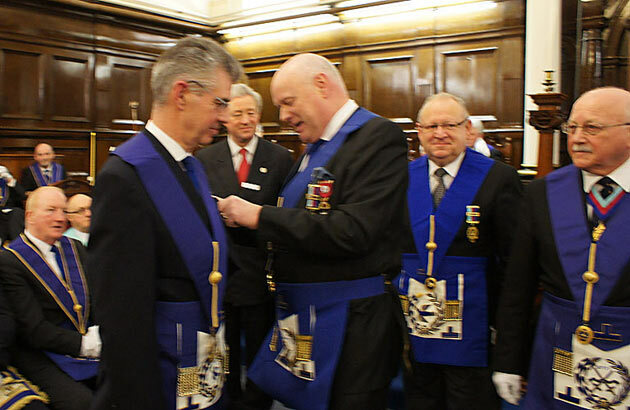 The PGM receiving his 2021 Jewel from W. Bro. Sir Paul Williams. 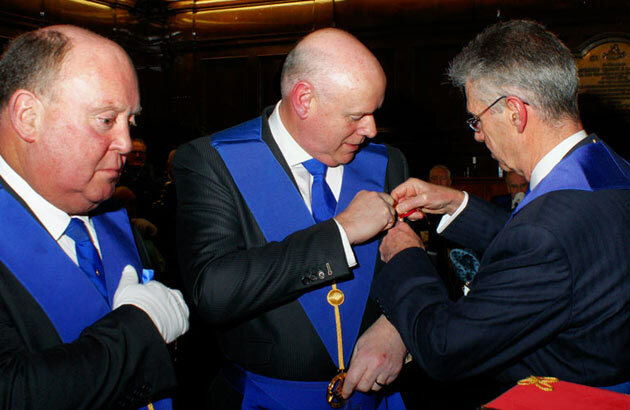 After receiving his own Jewel from Sir Paul, the PGM reciprocates. W. Bro. 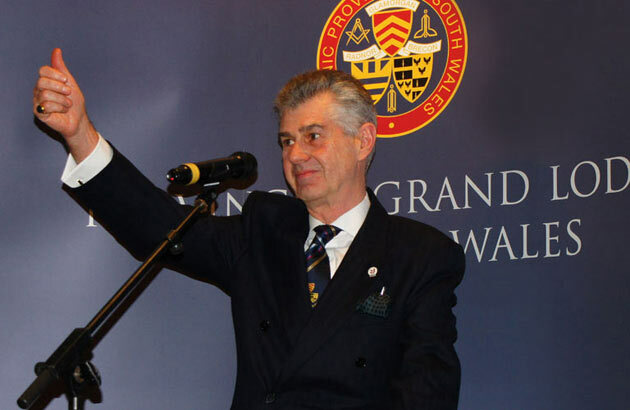 Sir Paul Williams inspiring the Brethren at the Festive Board. 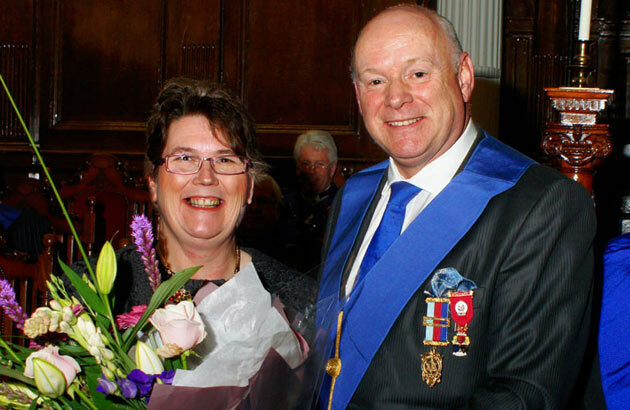 Manager of the AEPOWC Mrs Alyson Owen-Neill receives a bouquet from the PGM at Hendre Lodge.